Let’s explore how everything comes together. First, this is what goes into a VA loan. When applying for a VA loan, one of the first things you’ll need to provide is your proof of discharge. Your benefits might vary based on how many years you served and the rank that you achieved. Next you’ll need to provide your credit score. To qualify for a VA loan, you’ll need to have a score of at least 620. Don’t worry if you’re not quite there – we’ll not only help you explore other options but give you tips on how to improve your score for the future. Your income level will also help determine the exact terms of your loan. To prove your income, you’ll need to provide a W2 along with recent pay stubs. 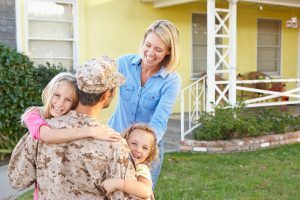 Once you’ve got all of these things together, it’s time for the best part of a VA loan – the results. One of the best benefits of a VA loan is something it doesn’t require – a down payment. 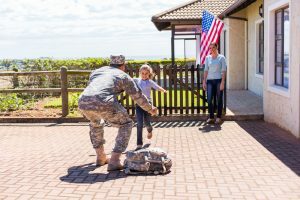 This makes it easier for veterans in almost any financial circumstance to finally move into the home of their dreams. When you qualify for a VA loan, it’s the only loan that you’ll need. Not only does that make things less complicated, it most likely means that you’ll end up with a better overall deal. One of the most important parts of any loan is your rate. VA loans are set up in a way that makes sure veterans have access to rates that won’t change over 10, 15, or 30 year periods. This helps with both long term budgeting and overall savings. When it comes to VA loans, it might seem like there are a lot of moving parts. But when everything comes together, the sum is something that can benefit those who have made the sacrifice to serve our country. At Liberty Lending, we’ve always been committed to helping these courageous men and women in the St. Louis area get the best results from their loans. If you’re looking for more information, fill out our online form or call (314) 336-9111.